My favorite so far… I have since fixed the eyes based on some feedback from the experts. It took about 45 minutes to convert from Mario to Megaman. I took one picture midway through the transformation. 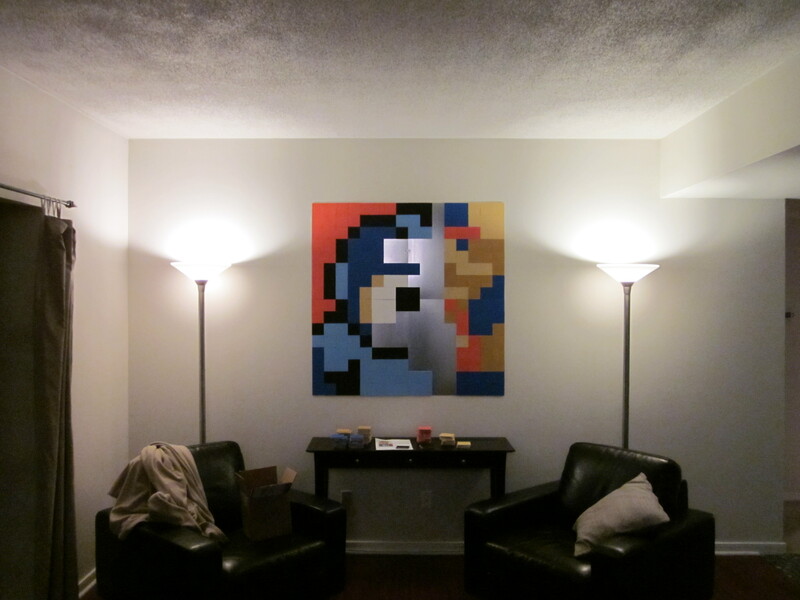 This entry was posted in 8 Bit Sprites, Mosaics and tagged 8-bit art, Friends, Megaman, Nintendo, Sprite. Bookmark the permalink.